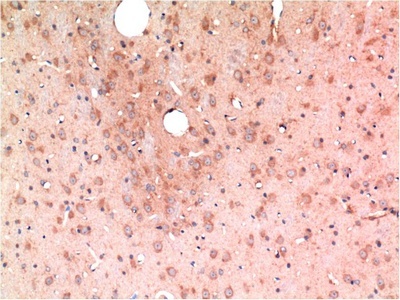 Amino acid sequence derived from active form of human/rhesus/canine TGFβ1 (NP_000651.3) (Ala 279-Ser 390) was expressed and purified. Human, Rhesus and Canine TGFβ1 sequences are identical. 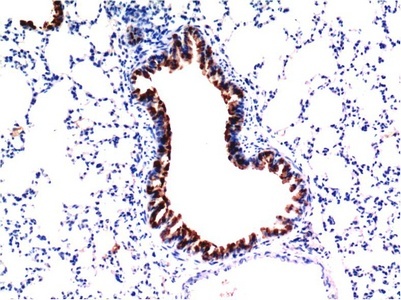 Measured by its ability to inhibit cell proliferation of Mv-1-lu mink lung epithelial cells. 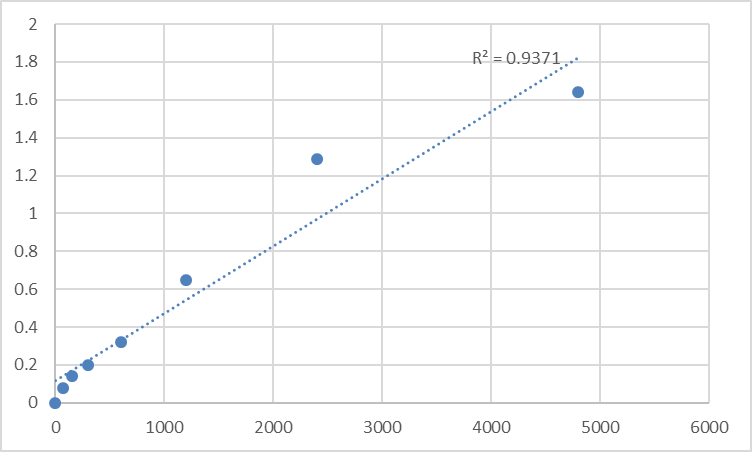 The ED50 for this effect is typically 0.04-0.2 ng/mL. 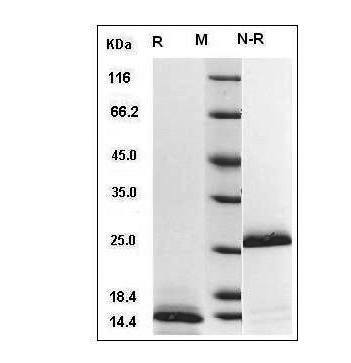 The recombinant human/rhesus/canine TGFβ1 consists of 112 amino acids and has a calculated molecular mass of 12.8 kDa. 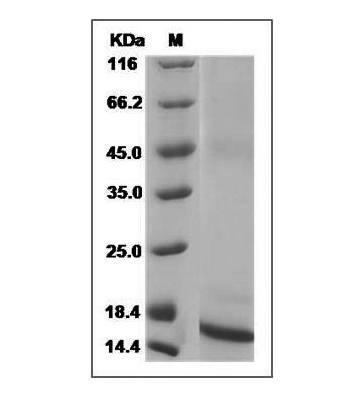 it migrates as an approximately 13 & 26 kDa band in reduced and non-reduced SDS-PAGE respectively, corresponding to the monomer and homodimer. > 95 % as determined by HPLC. 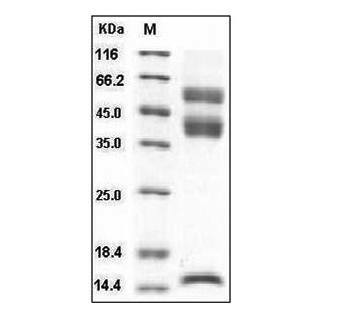 Fig.SDS-PAGE analysis of Human TGFB1 protein. Always centrifuge tubes before opening. 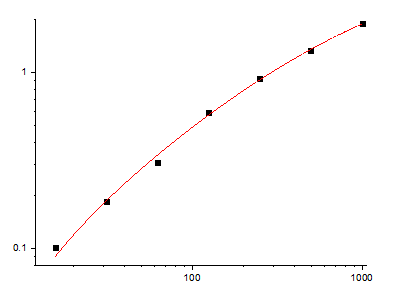 It is recommended to reconstitute the lyophilized Human TGFB1 protein in 0.1% TFA, 26% ACN, PH3.0 not less than 100µg/ml, which can then be further diluted to other aqueous solutions. 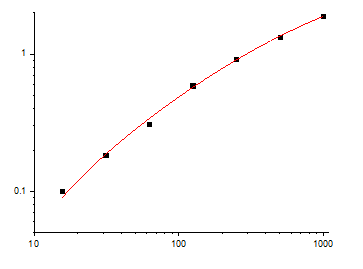 Lyophilized Human TGFB1 protein product should be stored desiccated below -20°C. Upon reconstitution, the protein should be stored at 4°C between 2-7 days and for future use below -20°C. For long term storage it is recommended to add a carrier protein (0.1% HSA or BSA). Please prevent freeze-thaw cycles. The product is shipped at ambient temperature. TGF-beta 1 is a member of the transforming growth factor beta (TGF-beta) family. The transforming growth factor-beta family of polypeptides are involved in the regulation of cellular processes, including cell division, differentiation, motility, adhesion and death. TGF-beta 1 positively and negatively regulates many other growth factors. It inhibits the secretion and activity of many other cytokines including interferon-γ, tumor necrosis factor-alpha and various interleukins. It can also decrease the expression levels of cytokine receptors. Meanwhile, TGF-beta 1 also increases the expression of certain cytokines in T cells and promotes their proliferation, particularly if the cells are immature. TGF-beta 1 also inhibits proliferation and stimulates apoptosis of B cells, and plays a role in controlling the expression of antibody, transferrin and MHC class II proteins on immature and mature B cells. As for myeloid cells, TGF-beta 1can inhibit their proliferation and prevent their production of reactive oxygen and nitrogen intermediates. However, as with other cell types, TGF-beta 1 also has the opposite effect on cells of myeloid origin. TGF-beta 1 is a multifunctional protein that controls proliferation, differentiation and other functions in many cell types. It plays an important role in bone remodeling as it is a potent stimulator of osteoblastic bone formation, causing chemotaxis, proliferation and differentiation in committed osteoblasts. Once cells lose their sensitivity to TGF-beta1-mediated growth inhibition, autocrine TGF-beta signaling can promote tumorigenesis. Elevated levels of TGF-beta1 are often observed in advanced carcinomas, and have been correlated with increased tumor invasiveness and disease progression.